CincySlots is a division of Green Sales Company. 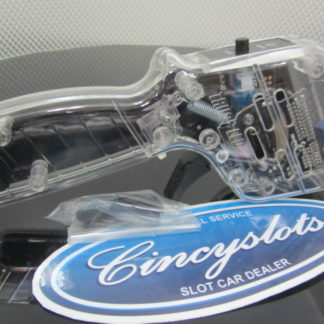 CincySlots offers both 1/24 and 1/32 Carrera Fly Scalextric Ninco MRRC Slot.it Policar Thunder Slot Sideways Revell Spirit Patriot Monogram Pioneer NSR BRM, Scaleauto Le Mans Miniatures Strombecker TopSlot slot cars. Experience the racing excitement on your own Scalextric Sport or Carrera race set including slotcars and track. We also carry TYCO, AFX Tomy SRT, Mega G, collector series, Life Like, TOMY AFX HO. We also carry Tamiya model and paint products. 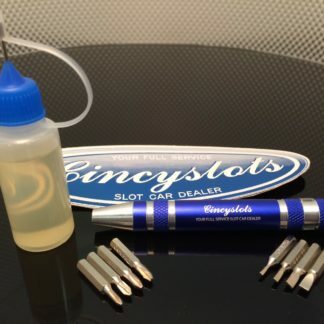 Customize cars with racing motors, tires, magnets and other parts accessories to create the perfect racing machine. Simulate the most challenging racetracks from your favorite professional race circuit or design your own to test the best. 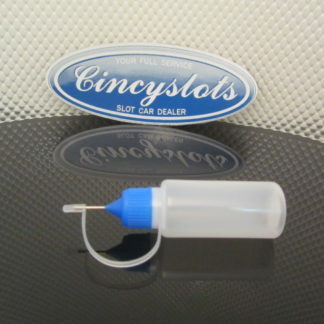 Next post: CincySlots now stocks the full line of SUPER TIRES Silicone and Urethane tires.